Separate modules with increasing levels of routines for every goal imagineable. 20 different 15-minute sequences. You can use our program at home or anywhere you please, whenever you have an extra 15 minutes. No more driving to the gym or studio. Compared to the cost of gym or yoga studio memberships. Even the "discount" yoga websites charge you monthly so it adds up. Get the whole program instantly in HD. Stream it, download it, on any device, anywhere. It's yours forever! You'll feel the rejuvinating, leaning effect of yoga as it slims you down and makes you glow. Aches and pains don't have to be something you live with. Move better and easier without any pain. The stress of today's world is no match for the ancient techniques in Yoga. Achieve mental peace. Bodyweight movements are the simplest most effective tool to unlock your hidden strength. Creator and producer of Microsoft's Bing Fitness Yoga, yoga and vegan expert for SHAPE.com, and wellness expert for MindBodyGreen, Heidi Kristoffer is a yoga instructor known for her happy, light-hearted approach. Heidi’s goal is to make yoga and deliciously healthy eating accessible to everyone. A former award winning actress, Heidi makes it her mission to bring happiness to everyone through every medium. The first time I was able to use Heidi’s process to do an inversion, I nearly cried. It felt so amazing to support myself like that and gave me a confidence I can’t describe. I’ve noticed a big shift in my life and I’m so grateful for Heidi and her amazing training. I recently started stepping up my fitness and felt awkward going to classes where I wasn’t at the level of other students and not able to keep up the same pace. With Heidi’s program, I can get the best instruction right at home and not worry about my level! I had done some trials at other online sites that give you so many videos to choose from but it was all overwhelming when I didn’t know much about each type of yoga or how long I should be practicing for. With Revive Yoga, I don’t have to worry about any of that since it lays it out so simply for me. I’ve had the privilege of doing yoga with Heidi in her classes and also with the Revive yoga program…sometimes in her classes she’s pretty intense but with the Revive program I can go slower and pick the level that’s best for me at the time. She’s just fun and genuine and she’s brought this ancient practice into this century and into the “now”. I’ve taken yoga at many different studios and many classes at Equinox. So I'm no stranger to different kinds of instruction. What I love most about Heidi’s process is that it's light and fun, the results in just the first two weeks are beyond belief. I’m a little overweight, so I was worried I might not be able to do the program. But I found that the sequences were very doable for me and actually made me feel great. This is incredible considering nothing has helped my pain in years. Thanks Heidi! A new lightness, energy and mental clarity as those aches and pains melt away, and your body gets flexible and forms new, lean muscle to get ready for new levels of yoga. Glowing, peaceful energy, as your body relaxes into "revived" flexibility and sheds unwanted flab, giving you a slimmer, sexier shape full of youth and vitality. Radiant energy combined with brand new inner (and outer) strength, slim muscle tone, and a lean body that leaves you ready to tackle anything the world throws your way! 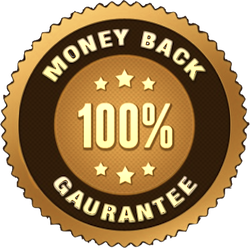 Feel safe and secure as you place your order, knowing that you can get a full refund at any time in the next 12 months if you decide Revive Yoga isn't for you. Just send us an email at helpdesk@reviveyogafitness.com and we'll give you every penny back, no questions asked and no hard feelings. The biggest results are visible in the first week of practice as you start to feel your body and how it responds, then during the 8th week of practice when you’ll start to move up levels in your modules, and after 12 weeks when most people will notice a marked transformation. We’ve used the routines on the grass and sand. It's designed to work indoors AND outdoors. You can actually do our yoga routines without even a mat! All you need is yourself. Blocks simply make certain difficult poses easier for you as you work up to them. It’s up to you if you want to use them. No! The beauty of having our modules broken down into levels is that anyone can use them. You can start with our warm-up and level 1 routines no matter who you are and slowly work your way up at your pace. Yes! Our upper level strength and fat loss routines will put even avid weight lifters to shame. Don’t underestimate the intensity of these routines, it can be used by men and women. Yes, our routines can be a great tool to introduce your clients to yoga slowly and in a way that complements your training methods. Absolutely, in fact, you’ll start to see improvements in the gym from our yoga routines. But the extra workouts in the gym are in no way necessary to see the changes in your body and mind!